The following table shows the Sunday runs planned for the next few months. Note all runs start at Kingskerswell Arch, Newton Road at 09:00 (see map below). Contact the Secretary for further information: Geoff Sharpe. Middling rides are normally about 45-50 miles all day, so out for coffee in the morning, then onto a lunchtime destination and usually home around 4pm. Pace usually around 10-13 mph. All runs start at Kingskerswell Arch, Newton Road (GR: SX 881 677). 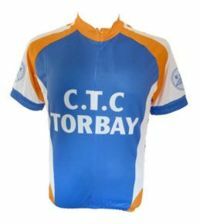 Information about the number of miles cycled by some members of Torbay CTC can be found here.